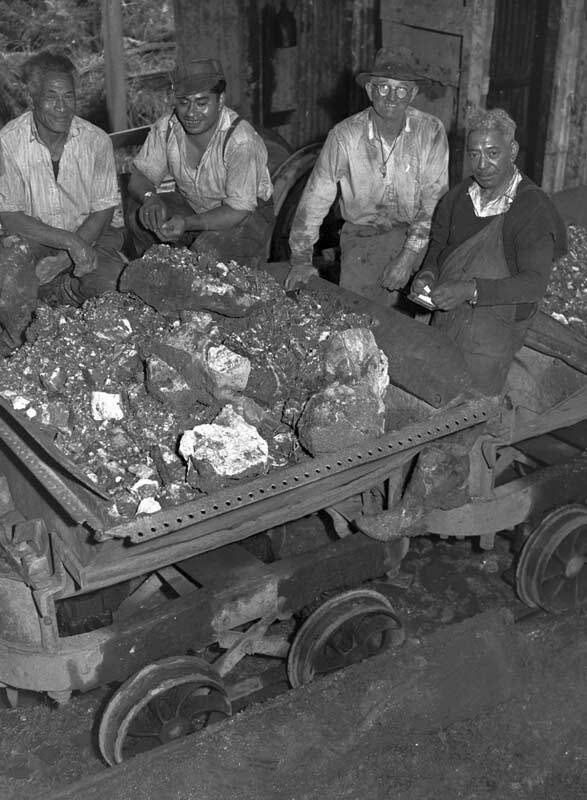 These dusty miners, pictured in 1952 at Waihī’s Martha mine, sit around a fully laden ore truck. It was the year the richest New Zealand gold mine closed. Between 1878 and 1952 the Martha mine produced more than twice as much gold as all of New Zealand’s other hard-rock gold mines put together.